USA – Sugarloaf - Sugarloaf is a 40-room Sinaguan pueblo set atop a dome-shaped hill in the neck of a horseshoe curve of Oak Creek, about a mile and a half from its confluence with the Verde River. Its location is no big secret. Residents of the area have known for decades. Until recently it has been left relatively alone. But according to area site steward coordinator Ned Greeneltch, this is not the first time the site has been pot hunted recently. "It's been happening up there for the better part of a year. There was a considerable amount of digging in one of the rooms on the northwest side of the ruin we spotted about six months ago. There was also an area on the south side that has showed sings of digging," says Greeneltch. SUEDE – Helsingborg - Archaeologists have uncovered over 1,000 silver coins dating back to the 1600s in a field in southern Sweden, coins believed to have been buried by rich and worried farmers in during the Scanian War. 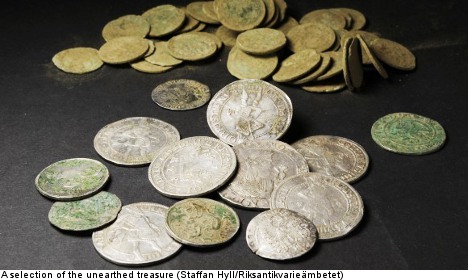 With the help of metal detectors and spades, archaeologists in Helsingborg pulled up a total of 1,150 silver coins - what they consider to be a record haul for the area. 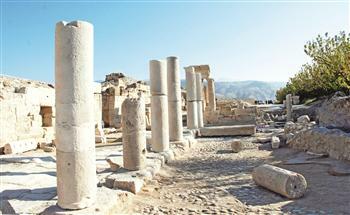 Friman and a colleague were carrying out archaeological research into the site of a former settlement, Todarp. “There are 70 or so such treasures that were buried in Skåne during the Scanian War. Most are not as big as this one. The usual interpretation is that it was rich farmers who buried them during the war, then died, and couldn’t dig them up again,” said archaeologist Kennet Stark, who was also on the scene. Musket bullets were also found in the vicinity. “This shows that there have been soldiers fighting here. 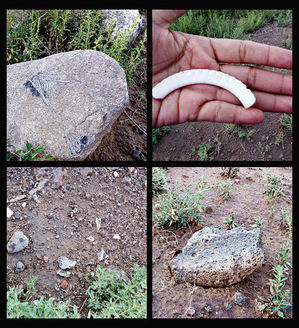 Several of the bullets are flattened and you can clearly see they have been fired and have made contact,” Stark told SVT. The coins come from both Denmark and Sweden, and were most likely buried between 1676-1679 when the Skanian war was fought between the two countries. USA – Eager - In April, 2011, construction began on a two-acre family fishing pond in Eager, Arizona. It was an Arizona Game and Fish project that, in its beginning stages, relied on an archaeologist to survey the land for potential historic properties and important cultural remnants. Bones -- including skulls, ribs, femurs, jaws, and fingers -- from at least 10 ancient adults and adolescents were ripped from their graves, broken and scattered by bulldozers and backhoes.